When it comes to insurance, the devil is always in the details. And that’s especially true with Workers’ Compensation Insurance. It’s regulated at a state level, unlike other business insurance policies. Its protection depends on whether a business meets job safety standards, which vary from industry to industry. In other words, Workers’ Comp is a perfect mix of state regulation, lawsuit risk, and safety standards – all of which combine to give anyone in compliance a headache. But fear not. This guide will walk through the process of making sure your business meets Workers’ Comp requirements and your workplace is protected from occupational injury and lawsuit risk. Each state has its own Workers’ Comp requirements, costs, and penalties for failing to carry insurance. That means a business in New York has different Workers’ Comp requirements than one just across the Hudson River in New Jersey. Know when you need it. Workers’ Compensation is required in all states except Texas. In most states, you are required to have insurance as soon as you hire your first employee. Some states even require it for contractors. To find your specific legal requirements, check out this state-by-state guide to Workers’ Comp laws. Know where you can get Workers’ Comp. Four states – North Dakota, Ohio, Washington, and Wyoming – require businesses to buy insurance from state-run “monopolistic” funds. But for all other states, you can buy insurance from private insurance companies. Plan for costs. Depending on where you live, Workers’ Comp costs can vary between $0.75 and $2.74 per $100 in wages. Costs depend on the state and the type of work the employee does (rates are set according to NCCI class codes). The complication of state laws and special rates leads some business owners to hire Workers’ Comp consultants to make sure all their employees are classified correctly. This can help companies save money if, for example, they’re overpaying to cover administrative employees who do less dangerous work than employees in the field. Job safety standards like the NEC guidelines for electricians and cabling professionals can prevent injuries and insurance claims, but there’s a secondary reason that these standards are so important for Workers’ Comp. Normally, when Workers’ Comp benefits cover an employee’s injury, the employee loses the right to sue. But for cases of blatant negligence, employees can still sue the employer. How do you define negligence? Lawyers will have to duke it out in court, but they will look to see if your business followed basic job safety standards. If you didn’t, you could be on the hook for damages. The catch is that you’ll need a Workers’ Comp policy that includes Employer’s Liability Insurance to cover this situation. A workplace that hasn’t followed installation guidelines for cable trays could be liable if those cables fall from the ceiling and injure a worker. The employee could claim the business created an unsafe environment, ignored accepted practices, and was negligent. 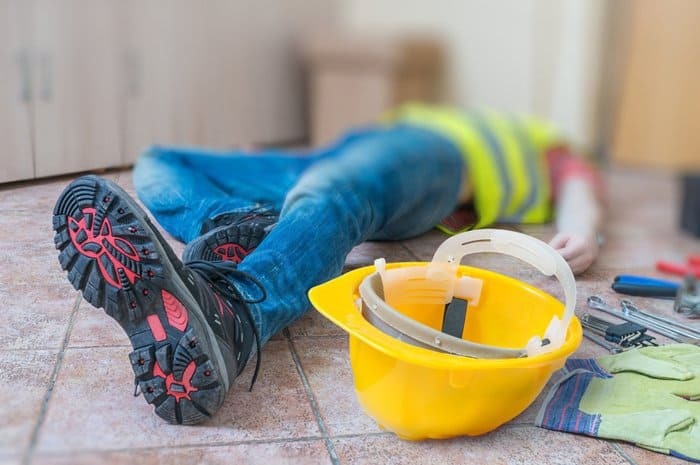 A roofing company that didn’t use proper personal fall arrest systems, guardrails, or fall restraints could be liable after slips from a pitched roof (see OSHA’s roofing guidelines). A janitorial company could be sued when a noisy floor waxing machine causes hearing loss after employees weren’t equipped with proper ear protection. Businesses that ignore safety standards not only face an increased risk of insurance claims, but they can also be sued over neglecting worker safety. It’s true that the devil is in the details, and naturally, only a small portion of those details can be covered here. 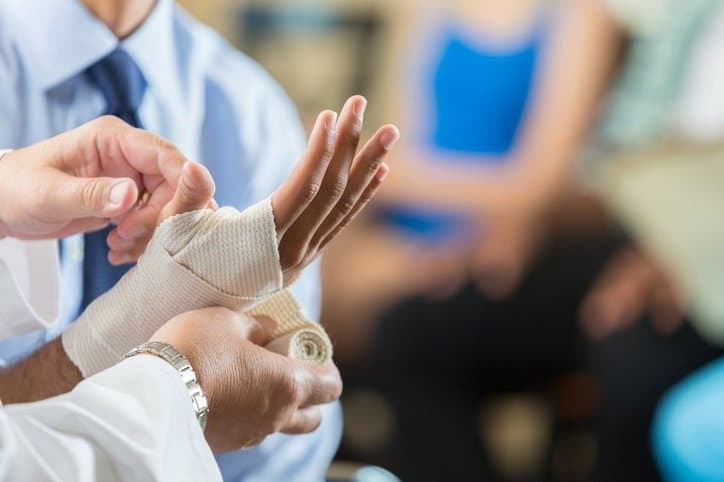 Almost all businesses are required to carry Workers’ Comp, but make sure to check state laws to see what employee threshold will trigger your coverage requirements. Businesses located in North Dakota, Ohio, Washington, and Wyoming will need to buy coverage directly from the state. Job safety compliance and training should be a key part of your Workers’ Comp planning in order to avoid accidents, injuries, and lawsuits. Insureon is a small-business insurance broker with its headquarters in Chicago. Since its founding in 2011, Insureon has helped hundreds of thousands of business owners find insurance and figure out their insurance requirements.